Tuition at the average public university costs more than $8,000 today, according to an online article published on Oct. 29, 2011 by CNNMoney. For parents, this leaves an obvious question: “How can I help pay for my child’s college education?” Some parents use 529 plans to help. What is the 529 plan? A U.S. News & World Report article published on Sept. 21, 2011, defines it as a plan that allows parents to make tax-free financial contributions, which will grow over the years. Parents can then use these funds to pay for their children’s college tuition. 529 plans are available in every state and Washington, D.C.
As Yale University states on its website under the financial aid section, the contributions that parents make to a 529 plan are not tax-deductible. However, the money that is in these plans does grow tax-deferred. This means that when parents take money out of the plans to pay for their children’s tuition, they don’t have to pay federal taxes on the withdrawals. The university also points out that parents retain complete control of the funds in 529 plans. The beneficiaries — parents’ children — are not allowed to withdraw funds on their own. 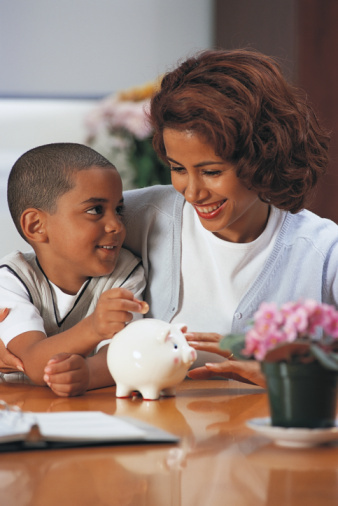 Parents can choose from two types of 529 plans: prepaid programs and savings programs. Under savings programs, children can use the funds to cover tuition costs at any accredited college or university in the country. Prepaid programs are supposed to be used at in-state schools. However, parents can use this money at out-of-state schools, too, if their children decide to leave the state to pursue their higher education. Parents might not receive the full value of their account, though, depending on their state.